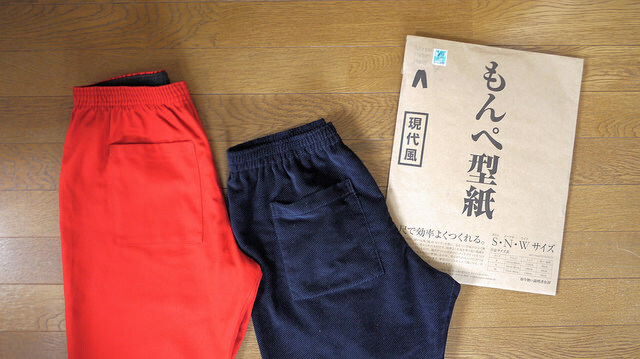 I was in LOFT department store in Shibuya when I stumbled upon an exhibition featuring monpe pants by Unaginonedoko. 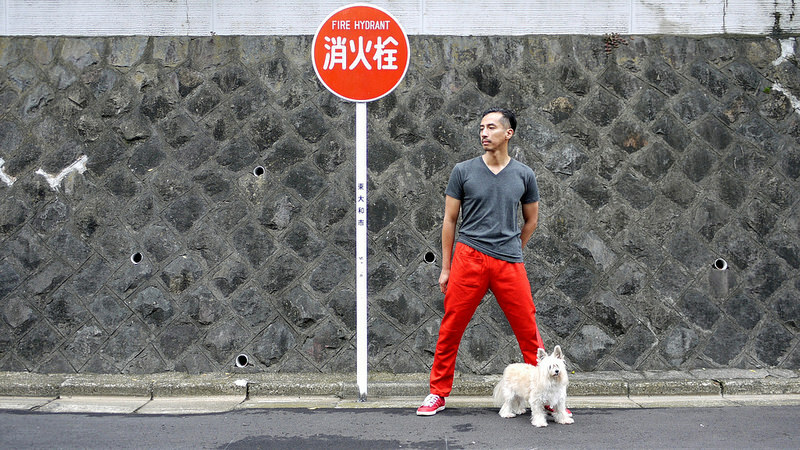 At that time I had no idea what monpe mean, but I was really attracted to the colors and especially the relaxed shape of those pants. 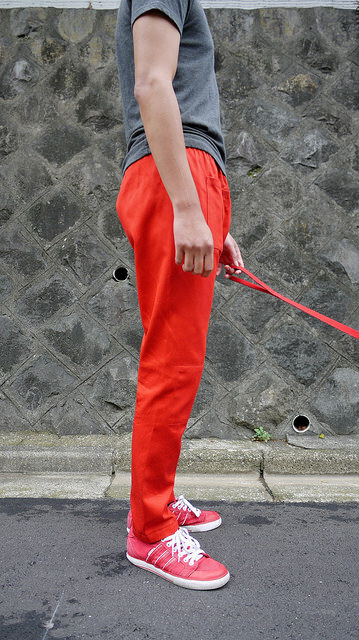 Later I searched about monpe and found out that it is a kind of Japanese work pant. Made from durable work and characterized by its loose waist and narrow ankle, monpe was usually worn by women to work in the older days. 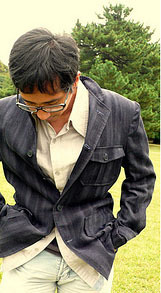 Nowadays, modern version of monpe is made with elasticated waist and worn by both men and women. 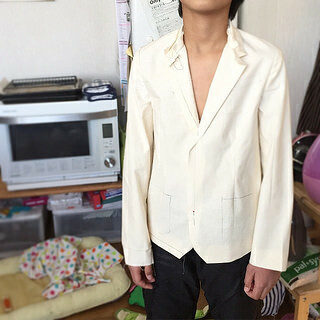 My further research (googling) led me to finding this monpe sewing pattern by Unaginonedoko that I immediately ordered. 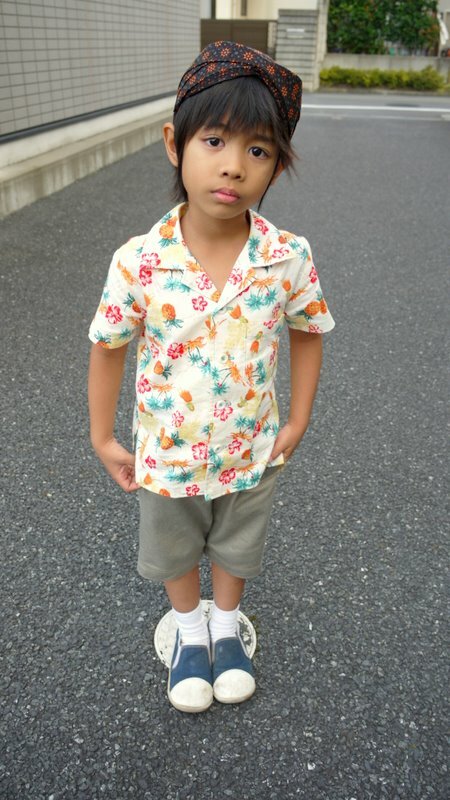 FYI, the name Unaginonedoko means eels’s bed, which is a pretty funny name. 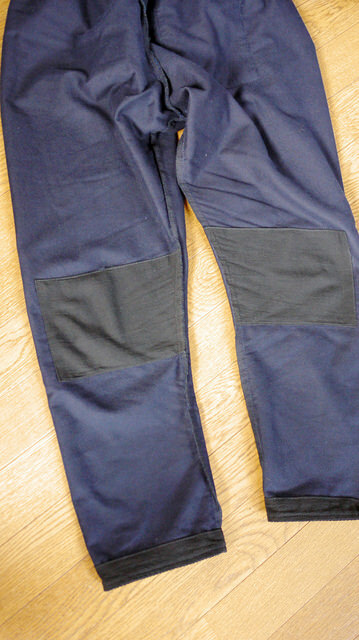 The pants have no side seam, one front patch pocket, and knee patches on the inside. Three sizes are included in the pattern: S (slim) for waist 65-85 cm and hip 110 cm, N (normal) for waist 66-86 cm and hip 120 cm, and W (wide) for waist 70-90 cm and hip 130 cm, all sizes have 66 cm inseam. The pattern is only available in Japan. I made two pairs of monpe for my husband. 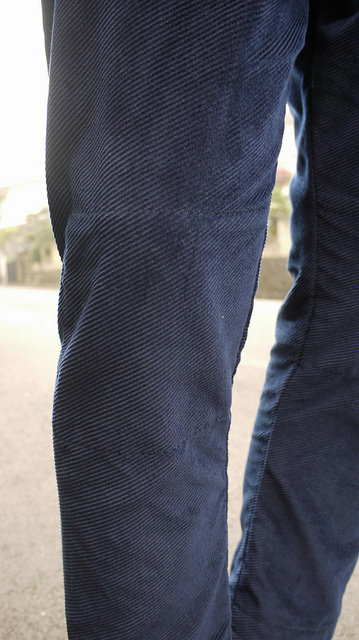 The first one is made with dark navy corduroy with diagonal lines. The fabric was not enough for the whole length, so I patched the hem with black fabric. I used the same black fabric for the knee patches. This is actually a muslin version, but my husband really loved it so I made him another pair. 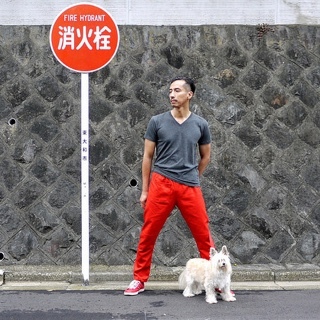 The second monpe is made with red Japanese katsuragi fabric, 100% cotton as he has always wanted a pair of red pants. I added a bit of length to the hem, that way it can be rolled up if wanted. 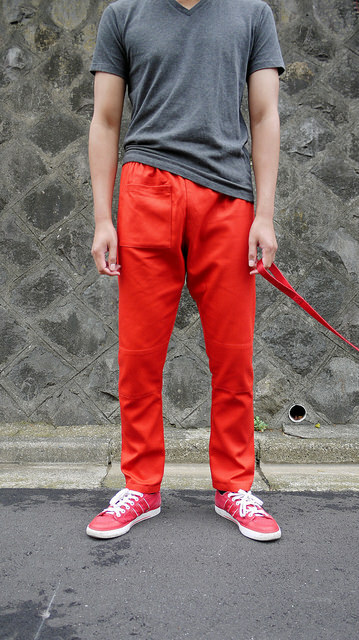 These pants are very comfortable because of the elasticated waist and loose shape. 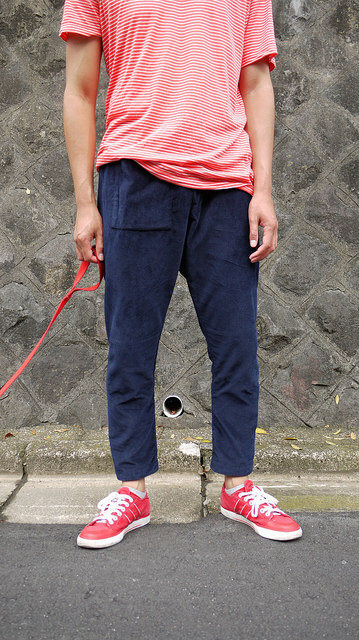 Made with the right fabric, they are perfect for summer. My husband loves both pants and have been wearing them regularly, putting his handmade jeans to rest for a while. The pattern is actually a very simple with only one piece. 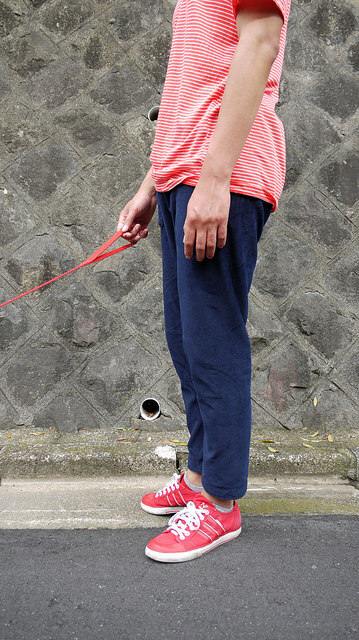 I’m pretty sure that any pajama pants pattern with no side seam can be used to make a similar one. Sewing them is such an instant gratification because it was done so fast! 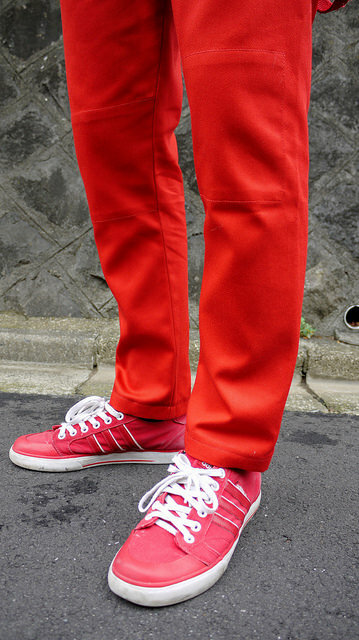 Pattern is Monpe pants by Unaginonedoko (Japanese), size N. Only available in Japan.